Ready to launch your brand new website? Great! Just make sure it is set-up to do its job – if your website isn’t healthy and optimised, your visitors may not get the right first impression, clicking away before they learn about your business. Worse yet, it may be hard for your searchers to find your site or it may not appear on Google search results at all! 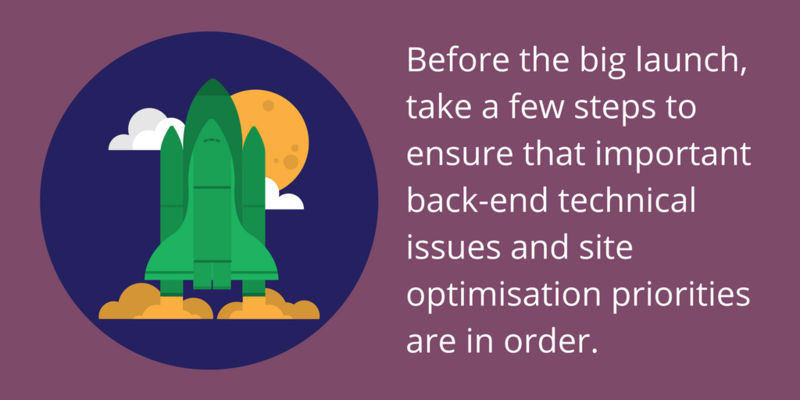 Rather than let your beautifully designed, appealing website float aimlessly in the digital void, you need to undertake a few website checks to ensure that important back-end technical issues and site optimisation priorities are in order. 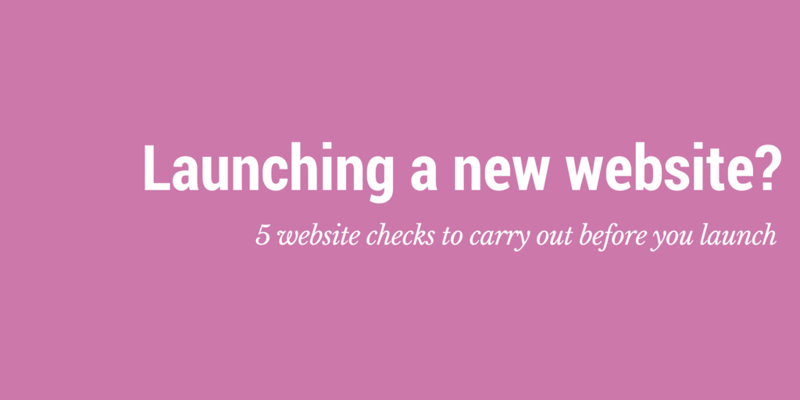 Here are five website checks to ensure your brand spanking new website is visible, accessible, and primed for web traffic. If your site doesn’t load quickly, you are hurting your site – and your business. Not only is slow load time a turnoff to visitors, but also Google considers page speed as a ranking factor. The search engine tends to reward sites that load quickly. 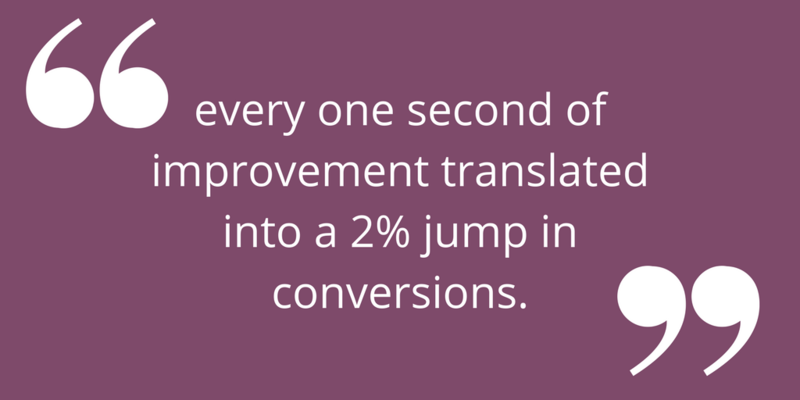 Also, a faster load time is connected to better conversions. When mega-retailer Walmart researched the impact of page speed on conversions, the brand found that every one second of improvement translated into a 2% jump in conversions! Things like file-heavy images, embedded videos, dense code, using a cheap web host, and too many widgets and ads can slow down your speed. In order to make sure your site is loading quickly, you can analyse it with online tools like Glasshat, which will point you in the right direction of how to improve performance with step-by-step instructions. Do you have an accurate sitemap in place for when the web crawlers, like the Googlebots, crawl your site so it can be quickly recognised and indexed? Google recommends new sites, which are likely to have few external links, to use a sitemap for faster indexing. Once you’ve generated it, you can submit it to Google. Use a tool like this for step by step instructions on how to create a sitemap. •	Are you using meta descriptions for each page? •	Do you have unique title tags? •	Have you incorporated the right keywords on your site, while being careful not to overuse keywords? Have you tested all of your links – both external and internal? A broken link is like a red flag to your visitors and to search engines, warning that your site isn’t well cared for. You can check your links and get help building high quality links to your site with an SEO tool like this. When someone lands on your website they won’t stick around unless they can tell right away that your site has the solution they are seeking. In fact, research shows that more than half of your visitors may only spend 15 seconds on your site before jumping ship. So first impressions really do count! 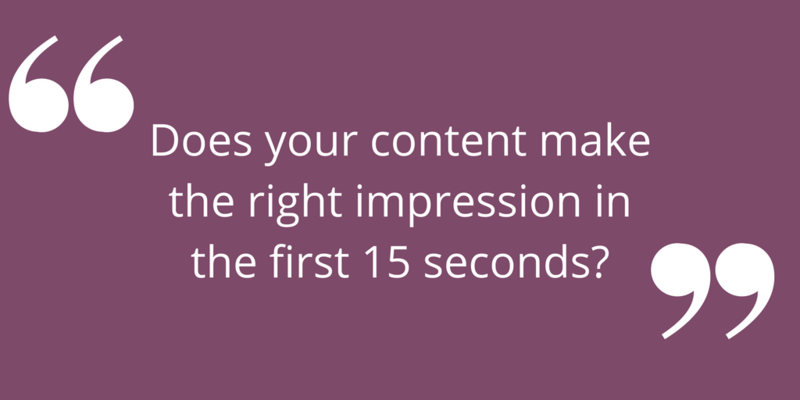 Is your content capable of making the right impression in 15 seconds? Does it clearly convey what is unique about your business and why you can solve your visitor’s problems? Once they do stay to read your blog or check out your infographic, do you have appropriate call-to-actions clearly in place to direct your visitors to their next step, such as joining your email list or making a purchase? All content on your site needs to be consistent and serve the purpose of helping your visitors quickly get the answers they are looking for. While these five fundamental website checks will help you with a successful website launch, there are dozens of other factors that go into creating an up-to-date, error-free, elegantly functioning site – which is exactly what you want for your business. In the digital era, your website means everything. It is your online face to the world. You can do a website check yourself, but to ensure that everything is done correctly and to save time and money in the long-run, using an online tool to check your website, like Glasshat, will help you cover all your bases. Sign up for a free trial today and get ready for website liftoff.